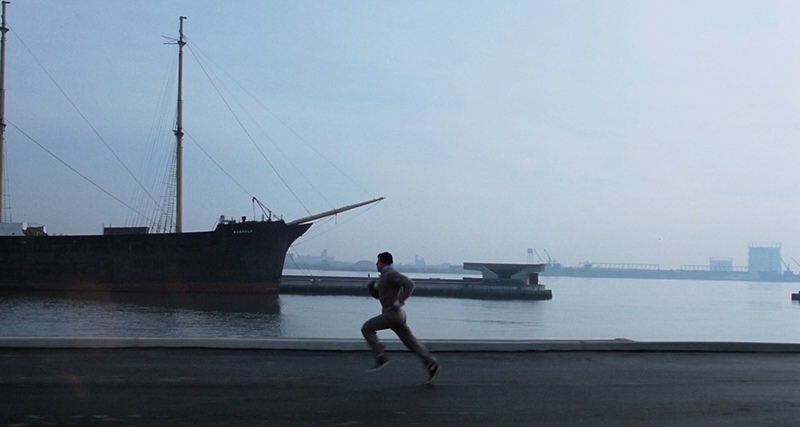 Rocky has been one of my most notable blind spots for a long time – one of the few Best Picture winners I hadn’t seen, and also the last holdout in the Flickchart Global Top 100. I’m not a big fan of boxing movies (even ones that people tell me are not really about boxing), so I avoided it for a long time. I knew someone would assign it to me in this challenge, and sure enough! 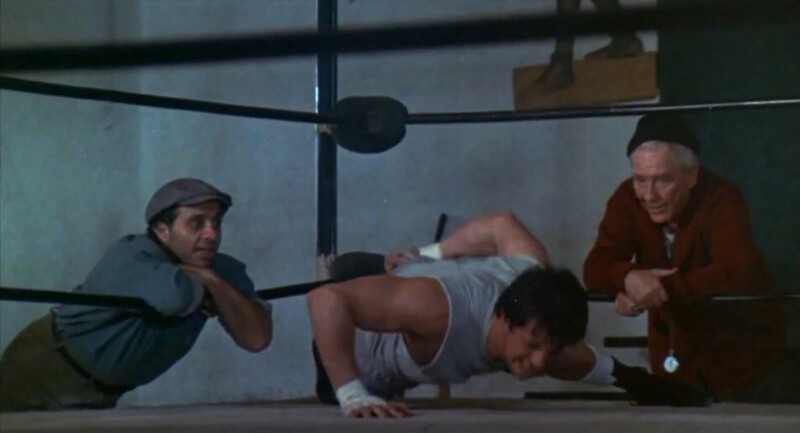 Unlike Gordon’s other film Animal House, which confirmed my unenthusiastic preconceptions, I actually ended up enjoying Rocky much more than I anticipated. 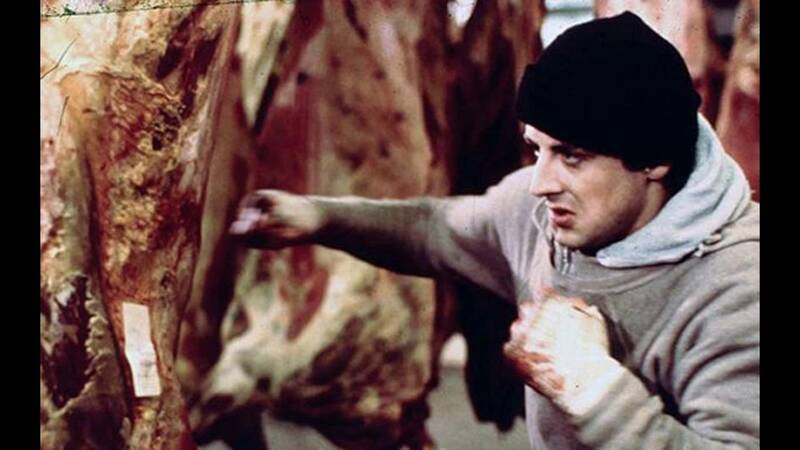 I still didn’t really care for the boxing scenes very much, but there are really only two of them, one at the very beginning and one at the very end. And I can appreciate sports movies in general if they’re more about the indomitable human spirit than if they’re about the sport itself, or about ego. Rocky is about neither. 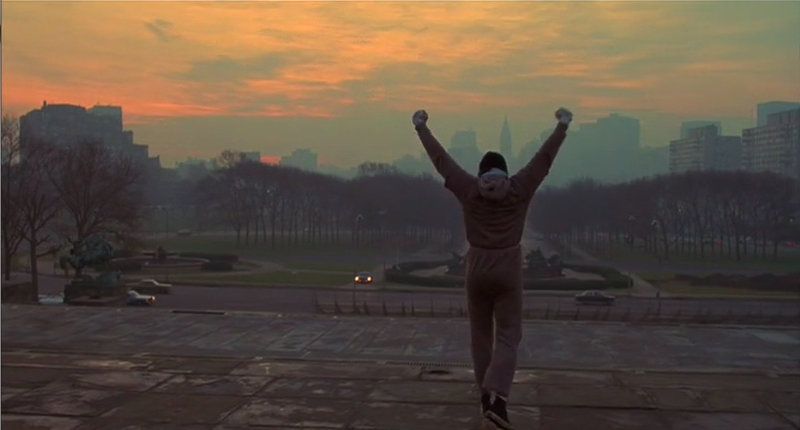 Rocky is about a loser proving to himself that he can go the distance, and yes, that’s a cliche, but it works here. It helps tremendously that Rocky himself is a much more likable guy than I expected. He’s no Jake La Motta. 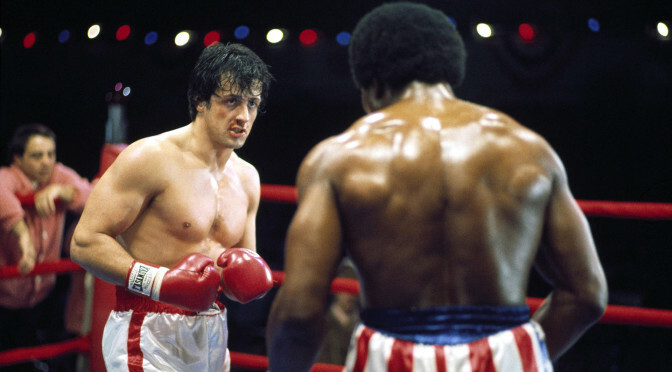 Rocky’s a two-bit boxer earning chump change for low-stakes matches and supplementing as a mob heavy in between. 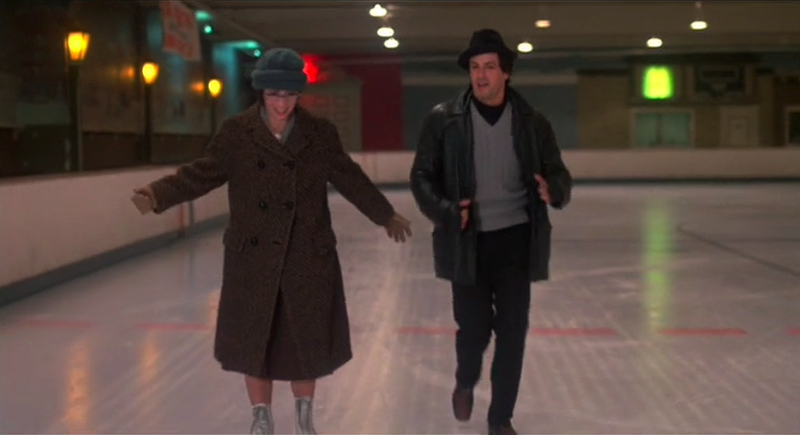 He’s got a friend with a sister he’s sweet on, and while the friend is kind of loud-mouthed moron, Rocky and Adrian’s growing romance is pretty enjoyable to watch. 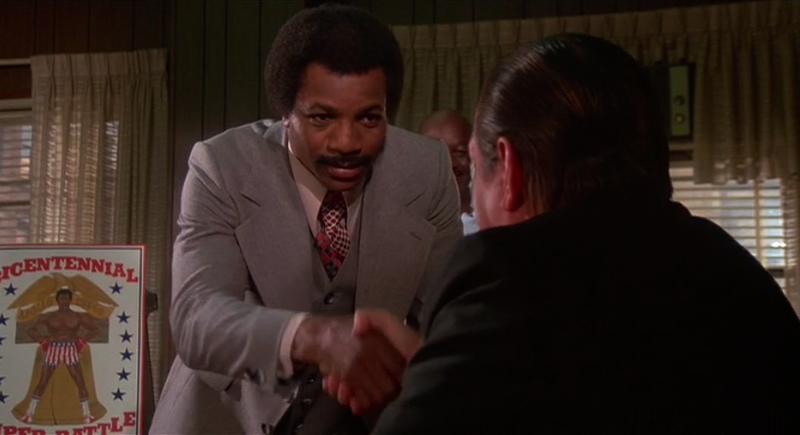 When Rocky gets a chance at what is basically an exhibition fight with the undefeated lightweight champion Apollo Creed (under the showy auspices of Creed giving a nobody a chance at the American Dream), he takes it seriously and gives it his all – which takes him through the whole 15 rounds, even though Creed expected to be done in three. 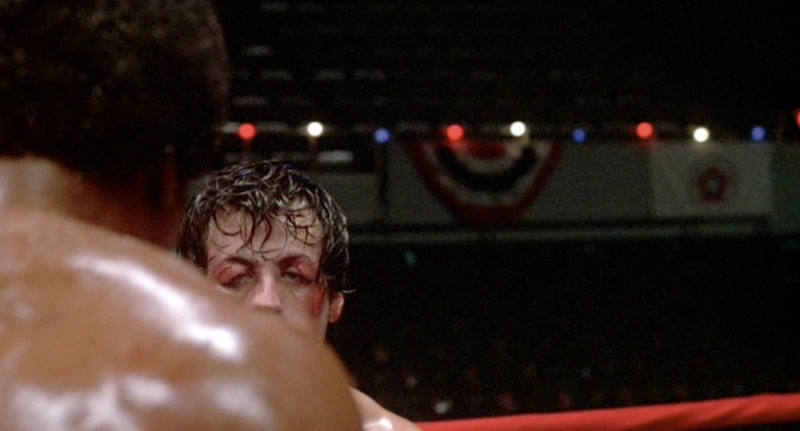 The fight is rough for both of them, but it’s a clean fight (I wasn’t cringing like I was watching The Wrestler) and shot to maximize Rocky’s determination rather than to highlight brutality. 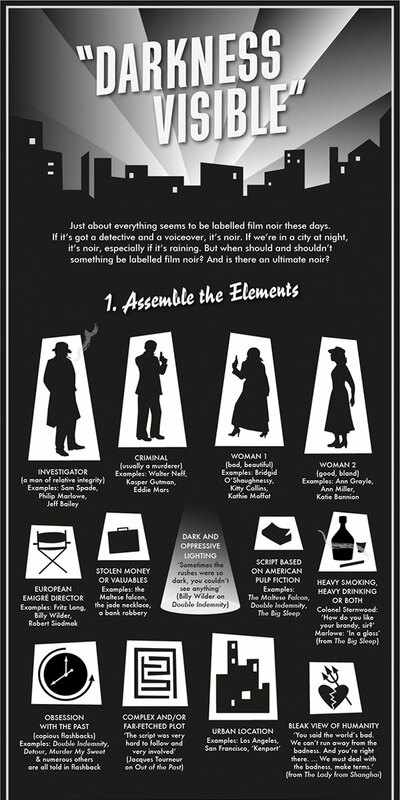 This may be a movie about one of my least favorite subjects, but the style and largely the substance is pure old-fashioned entertainment and inspiration, and that’s what came through to me. 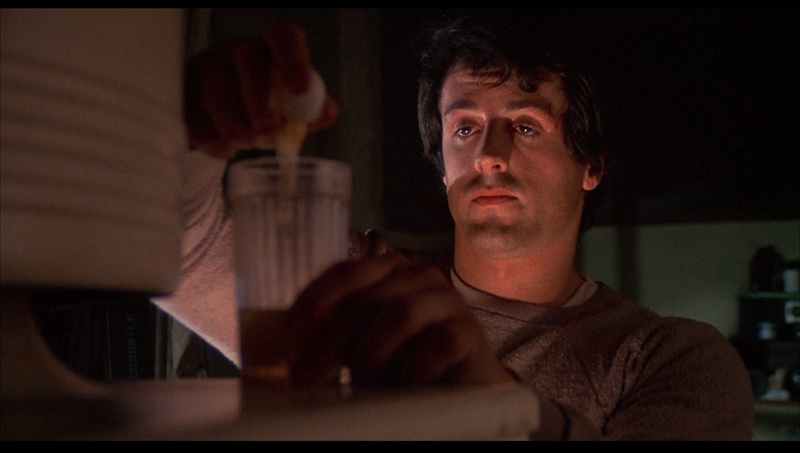 It is now my #1 John G. Avildsen film, my #1 Sylvester Stallone film, my #28 New Hollywood film, my #6 Sports Drama, and my #4 film of 1976. 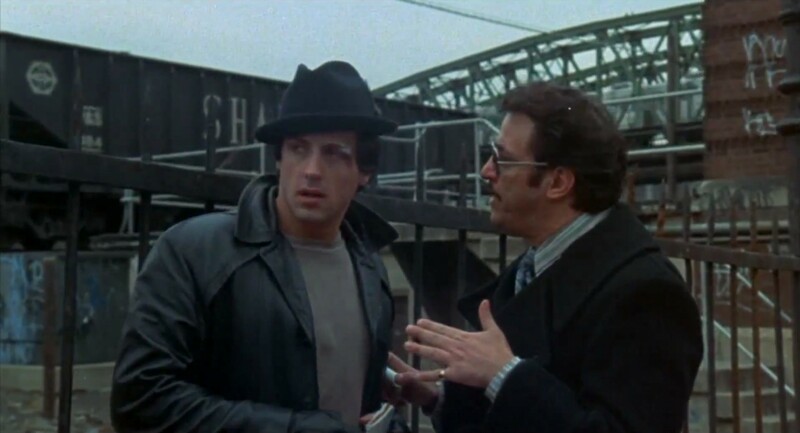 Rocky was recommended by Gordon Spates, a friend from the Flickcharters group on Facebook. Averaging together this #867 ranking with my #3175 ranking of his other film, Animal House, gives Gordon an average ranking of 2021. 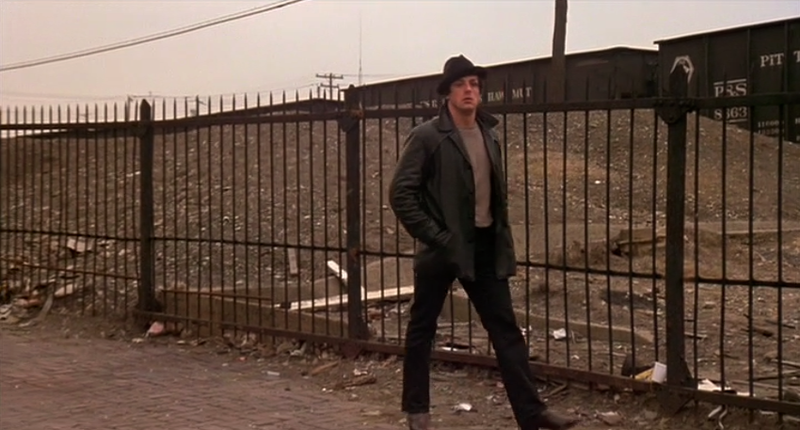 Rocky: Took you long enough to get here. Took you ten years to get to my house. Huh, what’s the matter? You don’t like my house? Does my house stink? That’s right-it stinks! I didn’t have no favors from you! Don’t slum around me. Talkin’ about your prime. What about my prime, Mick? At least you had a prime! I didn’t have no prime. I didn’t have nithin’! Leg’s are goin’, everything is goin’. Nobody’s getting’ no nothin’. Guy comes up, offers me a fight. Big deal. Wanna fight the fight? Yeah, I’ll fight the big fight. I wouldn’t wanna fight. Know what’s gonna happen to me? I’m gonna get that! I’m gonna get that! And you wanna be ringside to see it? Do ya? You wanna help me out? Huh? Do you wana see me get my face kicked in? Leg’s ain’t workin’, nothing’s workin’, but they go, “Go on, fight the champ.” Yeah, I’ll fight him. Get my face kicked in. And you come around here. You wanna move in here with me? Come on in! It’s a nice house! Real nice. Come on in and move. It stinks! 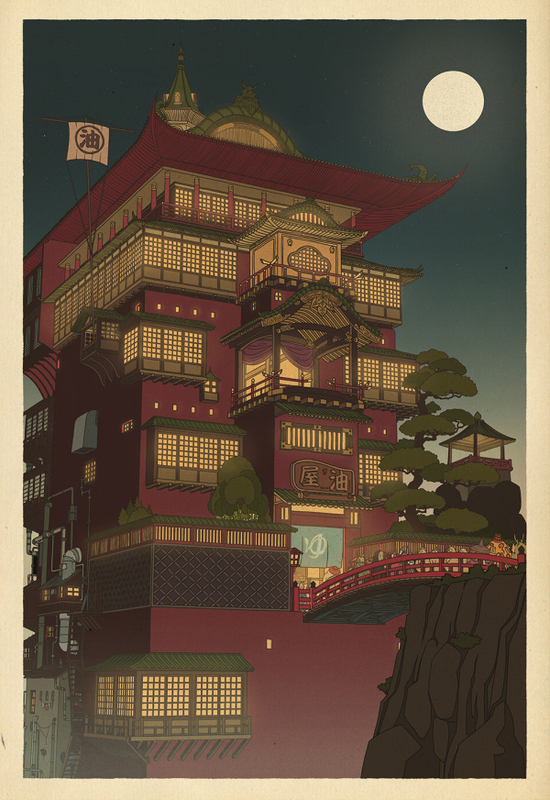 This whole place stinks. You wanna help me out? Well, help me out! Come on, help me out. I’m standin’ here! 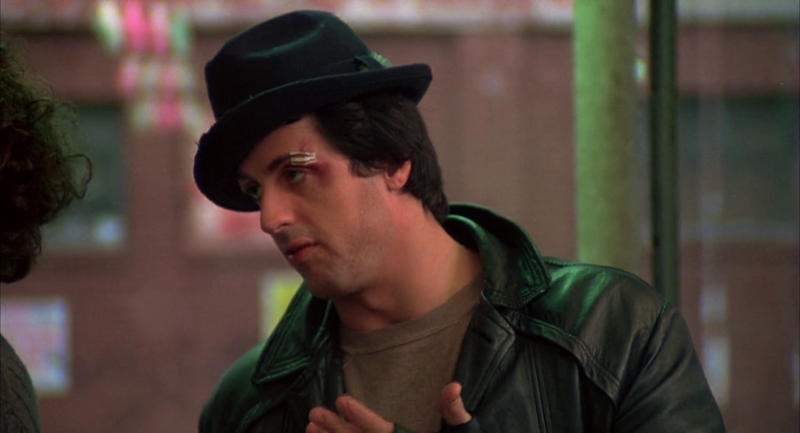 Rocky: I was nobody. But that don’t matter either, you know? ‘Cause I was thinkin’, it really don’t matter if I lose this fight. It really don’t matter if this guy opens my head, either. ‘Cause all I wanna do is go the distance. 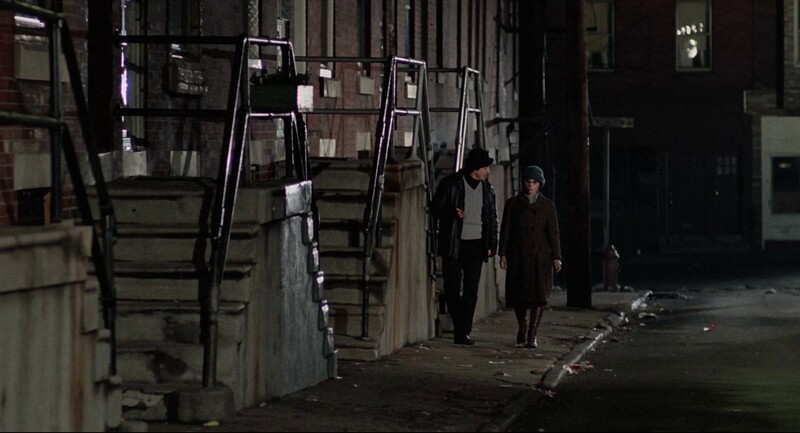 Nobody’s ever gone the distance with Creed, and if I can go that distance, you see, and that bell rings and I’m still standin’, I’m gonna know for the first time in my life, see, that I weren’t just another bum from the neighborhood. Rocky: I just want to say hi to my girlfriend, OK? Yo, Adrian! 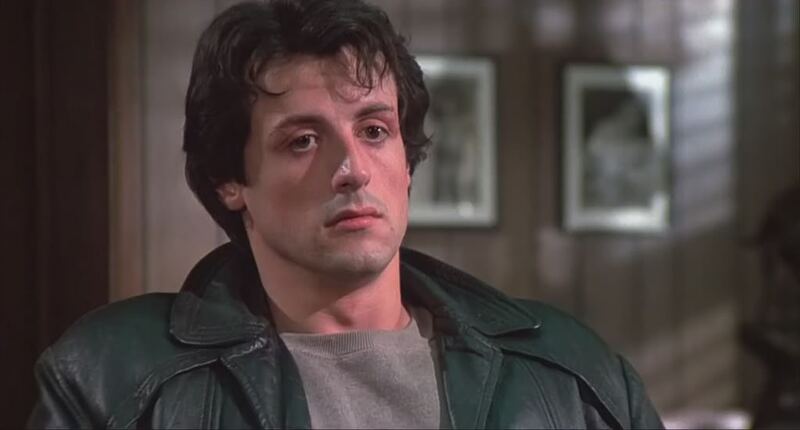 It’s me, Rocky. Apollo’s Trainer: He doesn’t know it’s a damn show! He thinks it’s a damn fight!